On October 26, 2018, a highly anticipated title was released to the public. 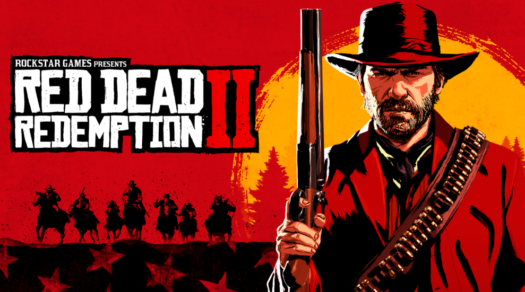 This notorious title, Red Dead Redemption 2 is a prequel of the original Red Dead Redemption. Rockstar, the producers of the online game, sold 95 million copies of Red Dead’s sister game, Grand Theft Auto V, and 15 million copies of its original Red Dead Redemption. With such an acclaimed producer, the new game has high hopes. “The world is much broader and more beautiful than previous Red Dead Redemption,” said Day Eh, a video game fanatic. Red Dead Redemption 2’s content is focused around the year 1899 in which the game takes place. The player can direct his/her character named Arthur Morgan through an enormous open world in the wild west. The game has a compelling plot that leads Morgan through robberies, hunting expeditions and encounters with the law. Joe Jeffries, an experienced player of the series stated: “It is a top quality game with plenty of things to do”. Another player, Angelo Whitsett who even purchased the game in advance said it should be nominated as the “Game of the year”. The new prequel sparked conversation throughout the online community because of its trailer. It gave those interested in the game a taste of its graphics and gameplay. “The trailer blew my mind, I can’t wait to play with my friends,” reported an excited fan, Lay Ku Htoo. As the public continues to rave about the stunning new game, details continue to flood the minds of the enticed. With such high expectations by its creators and its fans, records are tangible for the brand-new hit.